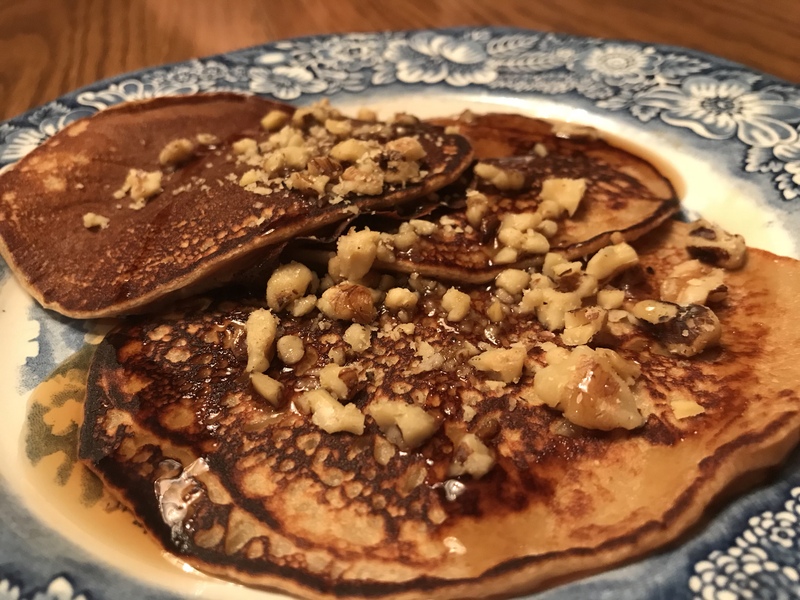 One of the most popular posts on this blog is my protein pancakes using Kodiak Cakes pancake mix. 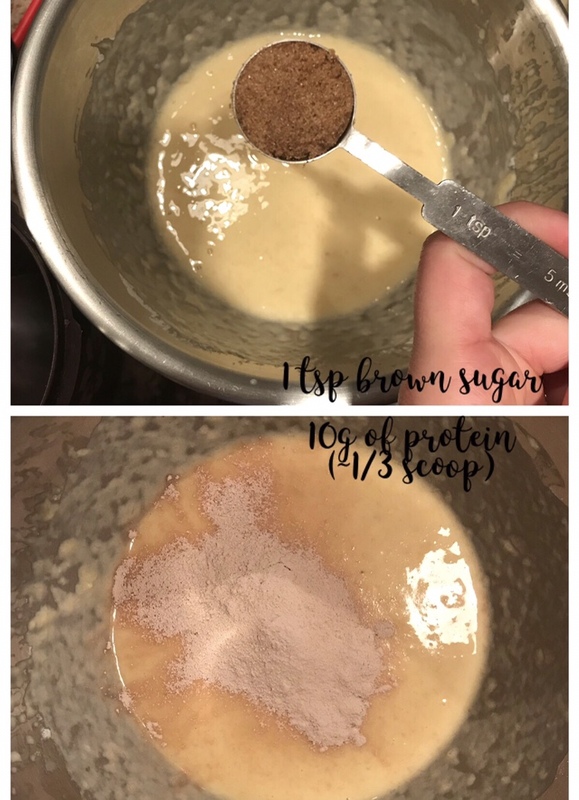 Their protein mix (Powercakes) released in 2013, well before I created my recipe in 2015, but it was before I could find the mix anywhere near me. My recipe is one of the simplest recipes I have on this blog. Their mixes have gone through some changes over the past few years, allowing them to continue to be balanced and provide more volume. Kodiak Cakes Powercakes are a staple in our house because of how easy they are and with their recipe changes to their mix, I don’t find myself often needing to use my higher protein recipe. However, there are times when we run out of mix or we’re not home, like this weekend, but we want pancakes. As I mentioned the other day, there were a few things we were bringing from our fridge to JP’s parents fridge because we didn’t want to come home to throwing out food. A banana is one of those items I put in our food bag for the weekend. This morning we woke up at 6:30 am without an alarm. This is sleeping in for us. We went to bed early last night after pizza date night. We had content bellies then, but this morning I could hear JP’s growling. He asked what was for breakfast and my first response was “I don’t know, eggs? What are you in the mood for?” His response was usual – “I don’t care.” It doesn’t really answer the question, but it doesn’t ignore it either. So as always, I looked at my Pinterest boards to see if there was anything I had pinned that I’ve wanted to try and then I searched for something new when I didn’t see anything I wanted to make. I knew I had a banana and that’s about all I knew. Here’s the recipe that inspired mine. And here’s the journey of my banana. 1. 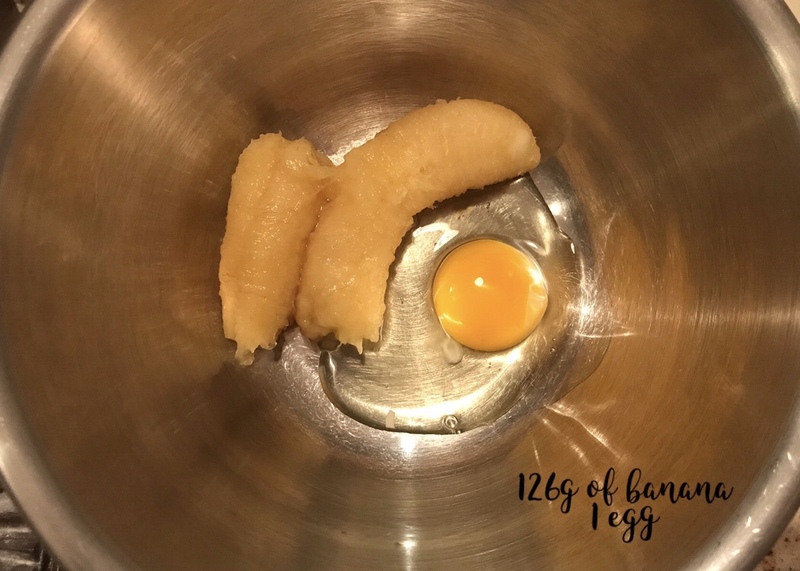 In a medium bowl, combine a medium-sized banana and whole egg using. I used a whisk because the batter won’t be super thick, but may have banana chunks. 2. 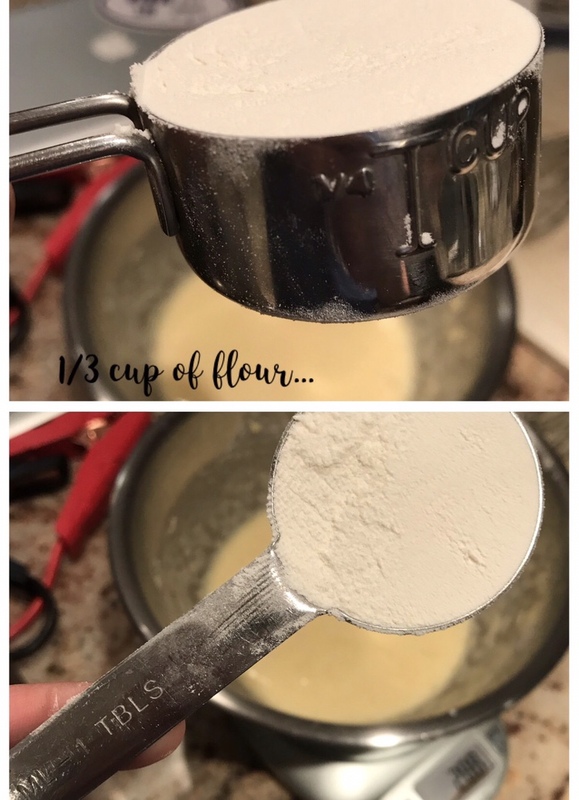 Add all-purpose flour leveled in measuring cup. 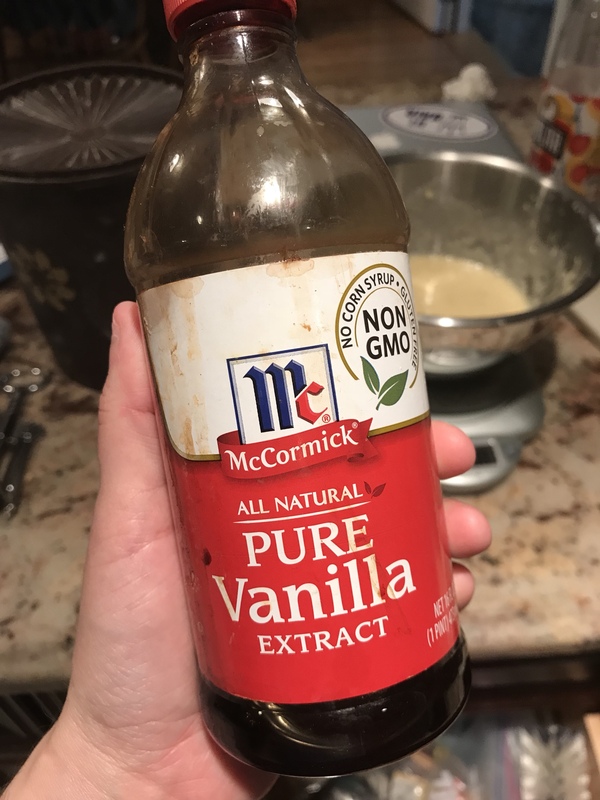 I had started with a 1/4 cup and then went back to add an additional tablespoon. Using a full 1/3 cup would be completely appropriate. 3. Add a splash of vanilla. This is really about taste. You could also add some cinnamon if you wanted to as well. 4. Add 1/4 tsp of baking powder. 5. While the banana is sweet, the pancake batter is really plain without a sweetener of some kind. I used a teaspoon of brown sugar, but you could use honey, maple syrup or an alternative like Splenda/Truvia. Just be mindful different kinds of sugar have different levels of sweetness so you may not need as much. 6. This step really is optional, but if it’s left out then these aren’t really protein-y pancakes. Protein powder. I used 10g, which is about 1/3 of a scoop of protein for PEScience. This adds about 4g of protein per serving, so 8g for all of the batter. * For rough estimate, I divided the batter in half and called it good enough. 7. Heat a medium or large skillet to medium or medium/high heat. 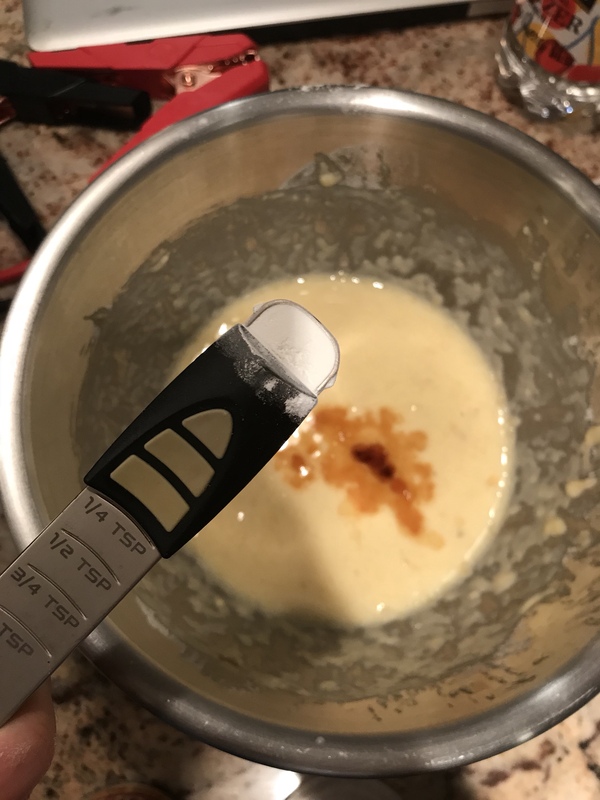 I used a little cooking spray on the pan, you don’t need a lot and depending on the pan you may not need to spray in between cakes. Pour batter to pre-heated skillet and cook on each side for just over a minute. This is relative to your pan and how it contains heat. 8. (optional) Top with chopped pecans or walnuts.